Some good friends of mine have recently been getting into dehydrating different foods for healthy snacking. After having some of their snacks I too wanted to invest in a dehydrator. I couldn’t really justify it though. It didn’t make sense to buy a dehydrator just so I could have some dried apples from time to time. Then these friends told me about the book Another Fork in the Trail. This book was made for people like me. It’s a vegetarian recipe book for making your own backpacking meals. Paul has already reviewed Mountain House freeze dried meals on the site and while these meals are quite good, they are expensive. In order to save money and try some other flavors, I purchased Another Fork in the Trail and a food dehydrator. Last weekend I went with Paul and my Dad to Arch Canyon in the Cedar Mesa. The only thing that made me a little nervous about the trip was trying my new recipe. I decided to try the Four Pepper Chili. Essentially, you first make the chili (which was really good before dehydration) then put it in the dehydrator for 7 hours or so. 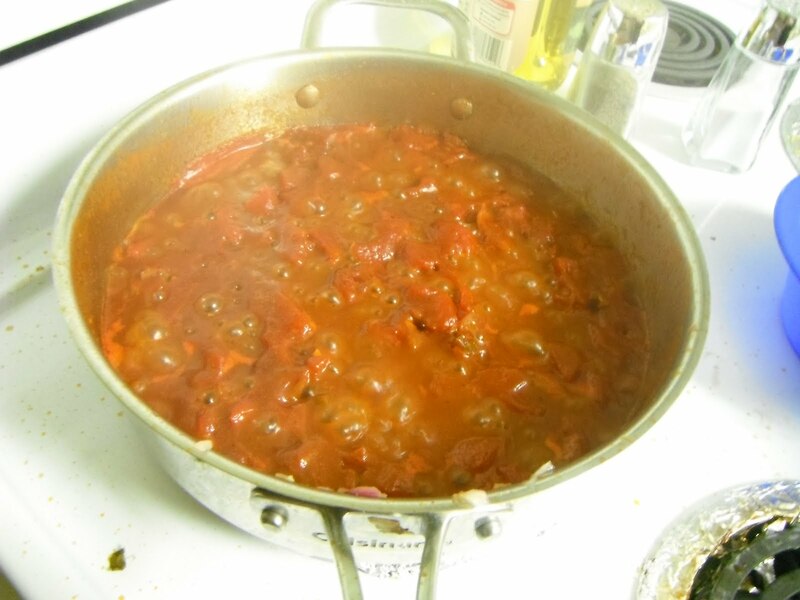 The result is a dry version of a tasty chili. Step 2. Dehydrate the chili. This part of the process is pretty uneventful. I put some wax paper down on my dehydrator tray so the chili wouldn’t fall through the mesh and to make it easier to clean up when I was finished. 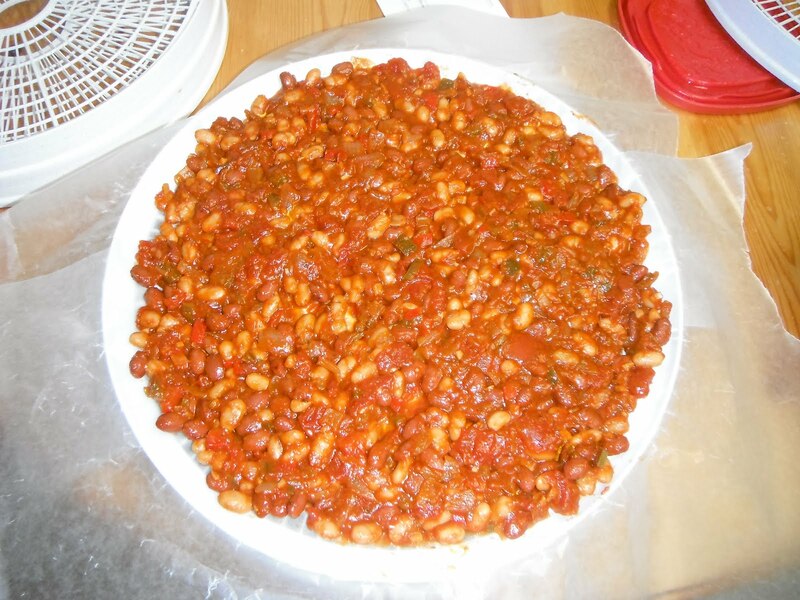 I let the chili dehydrate for 7 hours. Step 3. Store the chili. 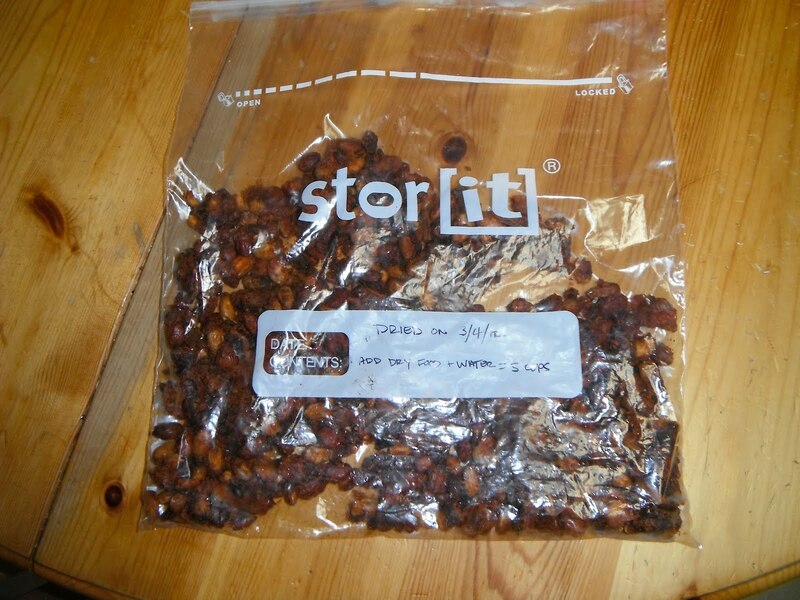 I put my dried chili in a plastic bag that seals well and put it in the freezer until I was ready to pack for my trip. It’s not essential to freeze the dried food first, but since I made it about a week before the trip, I thought it would be a good idea. Step 4. Make it nice. I never dared try the chili while it was still dry but Paul did and judging by his facial expression, it didn’t taste very good. So, to make the chili nice I put it in my dinner bowl and added some hot water. There are specific directions in the book for the amount of water to use but I just eye-balled it. After adding the water I covered it and let it sit for about 10 minutes. 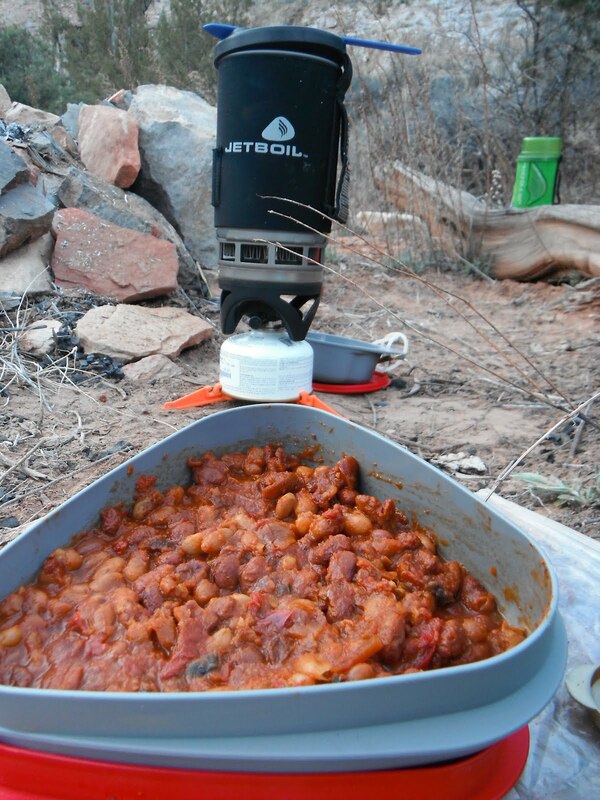 After a long day of hiking, this chili was divine! Everything worked great and I’m really happy to have another source for outdoor meals. It’s nice to have a less expensive alternative to meals that can be bought at the store. It helps that the flavor is amazing too. Thanks Laurie for putting together such a great book!